Khardungla pass connects Nubra Valley to Leh town. This hilly road is located at a distance of 38 KM from Leh town. Khardungla pass is famous as world's highest motorable road at a height of 18,380 feet ( 5602 Meter ). 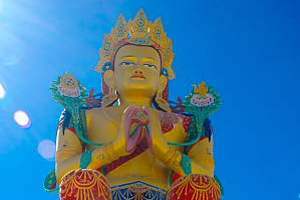 Hire a bike and travel to Khardung La from Leh or bring your own vehicle and travel to this peak. 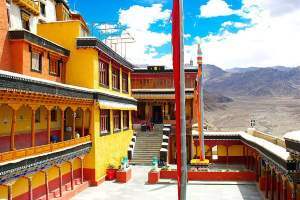 You can book a cab from Leh to travel to Khardung la. 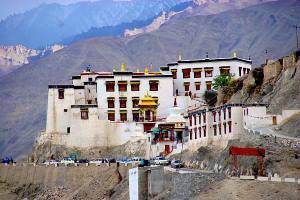 Bikers from all over the world visit Khardung La to enjoy the beauty of Ladakh. You can take a bicycle to the hill top by vehicle and come down the hill enjoying the snow and hill roads. Whatever mode you travel it is better to start around 8 AM from Leh. On the way you have to register and take inner line permit to visit these border areas. Before and after the Khardungla pass there are two check posts where tourist have to register. 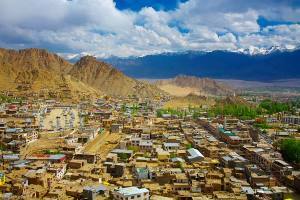 While travelling from Leh after 45 minutes you will first reach South Pullu at a distance of 24 KM. From South Pullu check post Khardurng La is 11 KM. From here Khardung La will take one hour as road is not good and vehicles travel very slowly in this skiddy road. Because of low oxygen level in air it is not advisable to stay more time here. Stay maximum 25 minutes. Medical facility is available by Indian Army camp at Khardung La top. You can take oxygen here if you feel it is required. You can carry your own portable oxygen cylinder from Leh town. Common symptom of low oxygen in body is : Headache, disturbed sleep, lassitude, Nausea, coughing , irregular breathing, breathlessness etc. Here you can enjoy hot Maggie or a cup of coffee at this highest point. From Khardung la at a height of 18380 feet you can descent towards next check post North Pullu at height of 15300 (16000 ) feet. 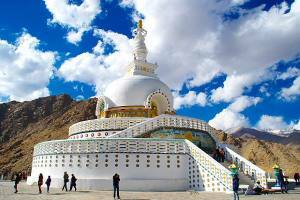 Here you have to register to travel towards Nubra valley. From Khardung la to North Pullu is 19 KM and it will take maximum one hour to reach North Pullu from Khardung la. The journey from Khardungal to North Pullu is more beautiful and tourist stops at different places to take photos on the ice. 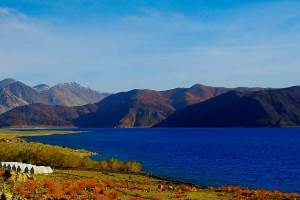 Spend more time here than at Khadungla as scenic beauty is better on this part of the pass. Road between south Pullu and North Pullu is not good. These two points are located at both side of the pass. Stay not more than 25 minutes at the Khardung La as air has low oxygen level here. For photography stretch of road after Khardungal for nearly 5 KM is more beautiful than before the pass. Take proper acclimatization and precaution before travelling to these areas. Never try to visit this place on very next day after reaching Leh by flight. Read more on acclimatization and health related guides.